Jadon Sancho expressed his gratitude for being afforded "opportunities at such a young age" after helping Bundesliga table toppers Borussia Dortmund move three points clear with a 4-0 win over VfB Stuttgart. The newly capped England international has repaid the club’s faith by hitting the ground running in sensational style in the 2018/19 campaign. Despite making just two starts, Sancho has had a hand in eight goals in as many games in the Bundesliga this season. After opening the scoring in Saturday’s victory, the 18-year-old underlined what Dortmund opening the door to regular first-team football means to him. 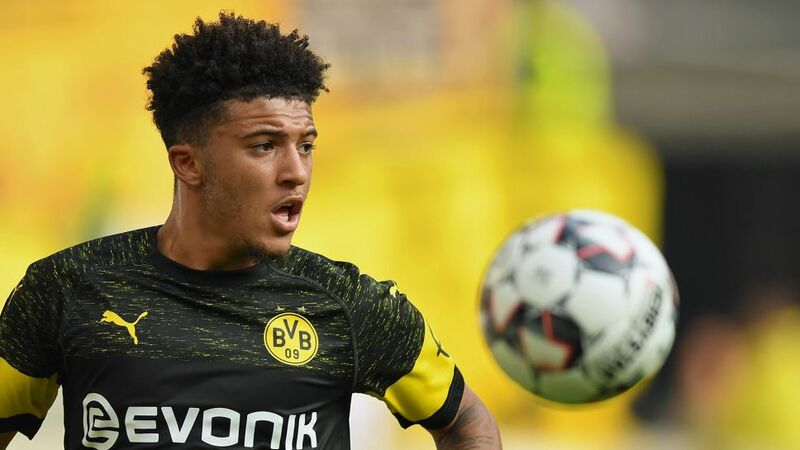 "Honestly, them giving me opportunities at such a young age, I just have to thank the club and all my family that have been behind me from the start," Sancho told bundesliga.com. The first-team exposure being afforded to Sancho is exactly why the rising star decided to blaze a trail by leaving Manchester City to join Dortmund at the age of 17. Pep Guardiola was convinced he had a bright future, but Sancho was desperate to demonstrate that he was ready to feature regularly at the highest level. The point has been proven emphatically and, with every passing performance, Sancho is fueling the argument that one of world's football greatest minds may have made a mistake of corresponding size.